Last week it was a time to celebrate fluffy pens, cute bull dog clips and notebooks of all shapes and sizes; National Stationery Week 2016. I wasn’t even aware that this was a thing until I happened to see it mentioned on twitter at the beginning of April, but nether the less I was obviously going to be on board! As per usual, I had a lovely time with the Paperchase team and the other bloggers. 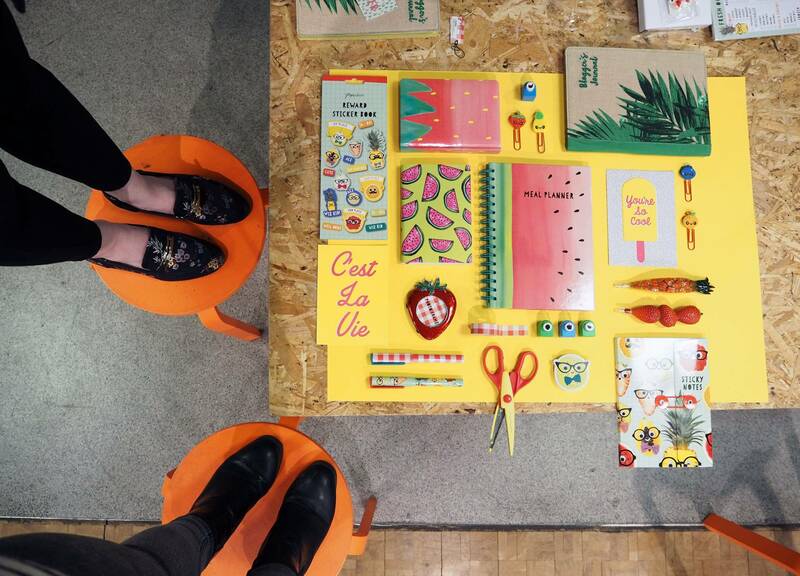 There’s nothing quite like bonding over stationery with other creatives – they’re special moments in my life ha I also got to meet Sammy and Heather from Live It Love It Make It, who said I’m their current Youtube girl crush <3 I’m not sure if I turned bright red, but AWWWW! With 3 baskets of Paperchase goodies in front of us, we were tasked to team up and get creative. Emma and Jaye were absolute babes, as always, and we worked on creating some fruity flatlays with some of the tropical items from the summery Paperchase ranges. My personal faves include the watermelon and strawberry notebooks and the pens shaped like a slice of Pineapple and a stack of strawberries. I’ll hold my hands up here and admit that I don’t even like fruit (just apples, pineapple and mango really – I know, I’m a weird one) but these were some fruits I could actually throw some love to! Emma’s love of yellow drew us to the bright background to create our flat lays and without really knowing, all 3 of us all seemed to share the same vision: create one massive flat lay using ALL OF THE THINGS! So that’s what we did, and then we stood on our stalls to get enough height to capture everything. Standard blogger behaviour, right? Anyone that’s met me in real life will know that being a short person (5ft3.5) this was actually pretty high up for me… oh the sacrifices we make for a good flat lay! Did you know about National Stationery Week? Did you do anything special to celebrate? If not, it’s definitely a great excuse to buy that lovely notebook that you’ve been eyeing up 🙂 Hands up if you’d like to come flatlay with us… Maybe we can make it happen one day! omg all the watermelon stuff is so cute !!!! Love the idea of a flatlay workshop – wish I’d known more about NatStatWeek ahead of time, will try and pay more attention next year.